If your vitamin D levels are still low despite taking supplements, you may be taking your vitamins at the wrong time. 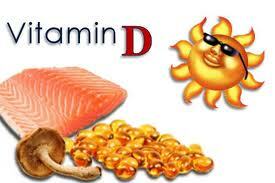 Since Vitamin D is a fat-soluble vitamin, it is best absorbed when taking it with food that has fat in it. A study by the Cleveland Clinic Bone Foundation Bone clinic found that those taking Vitamin D with a small meal or on an empty stomach did not have as much of an increase in their Vitamin D levels. When the study participants took their supplements with their largest meal of the day, usually dinner, they found a significant increase in Vitamin D levels. Take your Vitamin D with your largest meal and be sure it includes some fat. You can double the amount absorbed by doing this.